A generic title like Unlocked doesn’t do much to entice me. However, the 2017 thriller’s cast includes talent such as director Michael Apted and actors John Malkovich and Michael Douglas, and their presence does intrigue – so here we are! 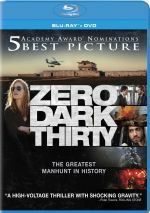 Skilled CIA interrogator Alice Racine (Noomi Rapace) fails to “unlock” a prisoner to get needed information, and this leads to a devastating terror attack in France. After this demoralizing event, Alice leaves active fieldwork behind and becomes a caseworker in London. However, Alice finds herself back in action when the CIA nabs a suspect who may have information about a planned terrorist incident. Alice needs to race against time to protect the vulnerable citizens of London. If that’s not a generic, “been there, done that” thriller plot, what is? Shake a tree and you’ll likely find dozens of movies that follow fairly similar storylines. As I often preach, however, films thrive more due to execution than originality. A creative narrative can still become a terrible movie, and a flick with a shopworn plot can turn into an engrossing affair. Does Unlocked manage to overcome it well-trodden story and bland title? Not really – while the movie generates the occasional curveball, much of it feels predictable and trite. The cast does add a little flair to the proceedings – or at least they ensure a certain level of professionalism one might not otherwise find from a flick like this. I can’t claim any of them break a sweat, but they bring some class to the proceedings. And like I said, we do get a smattering of effective scenes. Every once in a while, Unlocked tosses us a plot twist that catches us off-guard, and those moments allow us to hope we’ll get a quality flick. Unfortunately, for every inventive sequence, we find five more than lack any obvious form of creativity. Much of the movie seems “by the numbers” and fails to muster real energy or excitement. Nothing about Unlocked truly flops, as at its worst, it remains moderately watchable. However, it simply fails to give us anything with enough juice or cleverness to overcome its roots. The movie winds up as a wholly mediocre thriller. Unlocked appears in an aspect ratio of approximately 2.40:1 on this Blu-ray Disc. Across the board, the transfer looked good. Sharpness was fine. A little softness occurred in some wide shots, but those didn’t become a concern. Overall definition seemed solid. I noticed no jagged edges or moiré effects, and the presentation lacked apparent edge haloes or other artifacts. I also saw no print flaws, as the movie always seemed clean. In terms of palette, Unlocked reflected Hollywood’s modern fascination with orange and teal. As tedious as that has become, the colors looked fine within the design parameters. In addition, blacks were dark and tight, while low-light shots were decent; some could be a bit dense, but they weren’t bad. This was a positive presentation. As for the film’s DTS-HD MA 5.1 soundtrack, it added breadth to the experience. The movie didn’t deliver a consistently rock-em-sock-em soundscape, but it managed to open up well. A few louder sequences – usually connected to action beats – made more dynamic use of the spectrum, but those didn’t pop up with great frequency. Instead, the emphasis on general environment remained, and that was fine, as I felt the soundfield fit the material. Audio quality always pleased. Speech remained natural and concise, with no edginess or other flaws. Music sounded full and dynamic, while effects came across as accurate and clear. All of this suited the film and earned a solid “B”. Making Unlocked goes for 13 minutes, 24 seconds and features director Michael Apted, producers Erik Howsawm Lorenzo di Bonaventura, producer Claudian Bluemhuber, 2nd unit director Greg Powell, and actors Noomi Rapace, Orlando Bloom, Aymen Hamdouchi, Tosin Cole, and Makram J. Khoury. “Making” looks at story/characters, cast and performances, and Apted’s impact on the production. It’s a superficial puff piece. The disc opens with ads for American Assassin, First Kill, John Wick Chapter 2, The Hitman’s Bodyguard and Shot Caller. We also get a trailer for Unlocked. Despite a talented cast and crew, Unlocked winds up as a lackluster affair. A few intriguing moments arise, but most of the film remains predictable and tedious. The Blu-ray offers good picture and audio but lacks notable supplements. While not a terrible movie, Unlocked doesn’t rise above mediocrity.